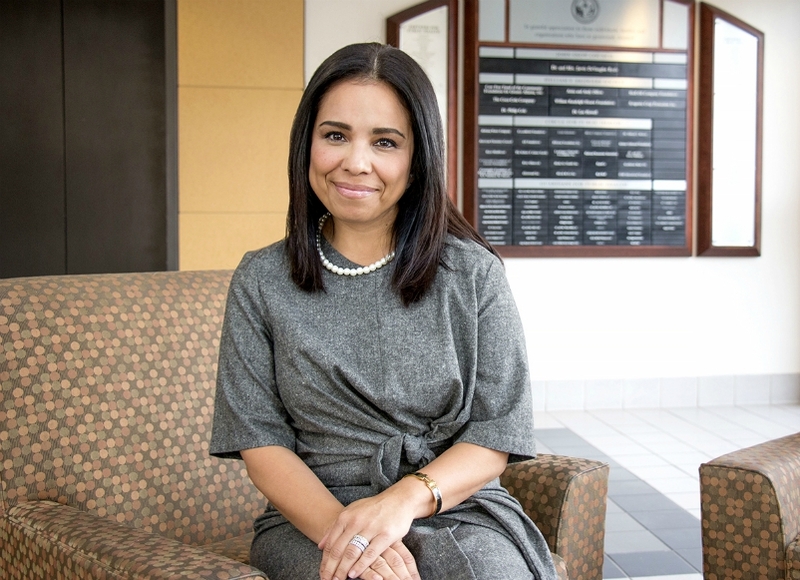 Bertha Hidalgo, assistant professor in the Department of Epidemiology and associate scientist in the UAB Nutrition Obesity Research Center. (1) Are heart attack symptoms the same for men and women? (2) Do men and women receive the same quality of care after heart attacks? The answer to both is no. If you got the answers wrong, you’re not alone. While heart disease is the leading cause of death among women, far too many of us are just not aware of the threat – and how we can empower ourselves and others to combat it. Bertha Hidalgo was among the researchers who helped develop the report. While many of the findings surprised her, she was even more surprised when she talked to friends, family and others about heart disease. Simply put, they had no idea. Not just about the details of her studies. They didn’t understand many of the basics about awareness, prevention and treatment. So Dr. Hidalgo – whose specialty is studying diseases on a massive scale – became more committed to helping spread the word on a massive scale. “Those of who learn at a higher level need to be able to communicate it to others who are not in their scientific circle,” she said. How she reached that high level, and how she communicates it to others, is another big part of this story. Bertha was raised in South Gate, California, a suburb of Los Angeles that’s close to the better-known suburb of Compton both in miles and makeup. The oldest child of a mechanic dad and homemaker mom, she was in middle school when an “unexplainable drive” to learn powered her to switch schools. She left her neighborhood campus for a magnet program that required an hour-long bus ride each away. Bertha became the first person in her family to graduate high school and the diplomas piled up: A bachelor’s degree from Stanford, a master’s from the University of Southern California and a Ph.D. from the University of Alabama-Birmingham. Along the way, she’s worked at the National Institutes of Health, first in a molecular biology lab and later under the guidance of a pioneer in HIV research. She’s also worked at the National Genetics Institute and a lab at UCLA. For the past decade, she’s trained and worked at UAB, where she worked for Donna Arnett during Arnett’s term as volunteer president of the American Heart Association. Bertha’s fondness for the organization grew during that time. So when she was asked to help with the Go Red report, she eagerly accepted. And, of course, she was perfectly suited for it. Early in her professional journey, Bertha considered becoming a physician. Then she learned about epidemiology, which is best described as studying patterns of diseases at the population level. “Instead of seeing one patient at a time, epidemiologists see an aggregate of thousands of data points – sometimes millions – and pull them together in search of patterns for certain types of disease,” she said. The chance to impact communities lured her in. She was especially enticed by the chance to study the community she knows best, Hispanics and Latinos. Another “aha moment” came while she was in graduate school. Not during a class or an investigation. During a chat with her mom. Bertha realized she had an opportunity– a responsibility, even – to pass along what she’s learned. She likes being a translator, of sorts, converting science into everyday English, Spanish and/or Spanglish. Having seen all the misinformation available on the internet, she takes pride in being a credible source. Helping compile and present the AHA’s Go Red For Women Inequality Report brought together many strands in Bertha’s professional and personal life. It even prompted her to re-evaluate her own priorities. As a wife and a mother of two, she realized that she was sometimes guilty of the underlying cause of the jarring 54 percent stat in the graphic referenced earlier. “We tend to put ourselves last,” she said. So women may not bother seeing a doctor. Or go to the pharmacy. Or take medication on time. Sometimes, the report showed, women do these things to save money. It’s another example of women sacrificing their needs for what they perceive to be the family’s greater good … despite the potentially devastating long-term cost. “That’s why it is important for us to have face-to-face conversations,” Bertha said. The AHA held an event in Los Angeles last year that convened high-profile Latinas, members of the local media and bloggers. The aim was to teach key messages about cardiovascular diseases so they could teach their audiences. The teacher that day was Bertha. There was interest in her report, but she noticed the most vigorous head nods when she covered the basics – things like 80 percent of heart disease risk being preventable, the keys being not to smoke, being physically active and eating a healthy diet.